Tracking down Malene Barnett is as simple as searching for the turquoise door. 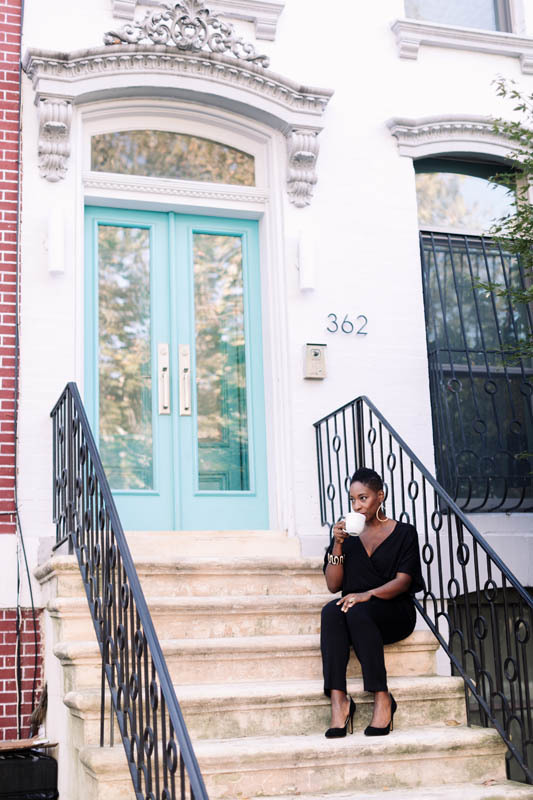 It’s not hard to spot in the rows of traditional brownstones that line Brooklyn’s Bedford-Stuyvesant neighborhood. Most have a conventional brick exterior in some rust-colored shade of burnt auburn or roasted carrot; Barnett’s has a clean coat of white with a pop of aqua smack dab on the first floor. 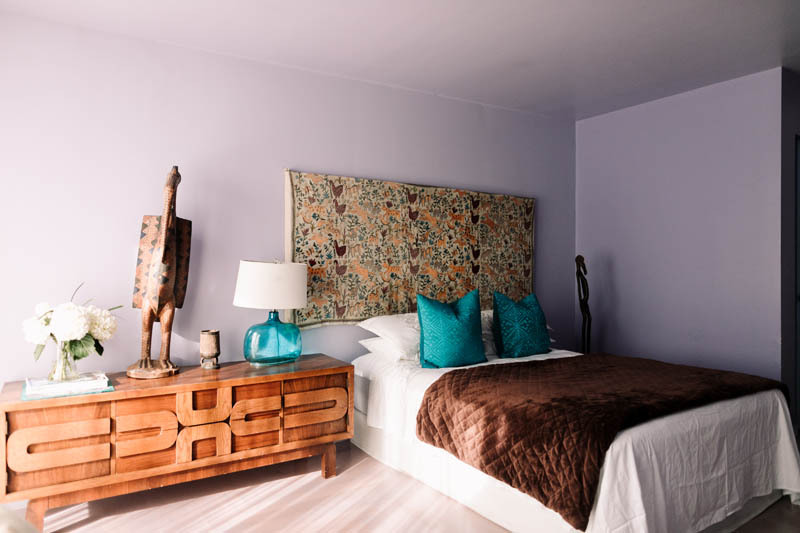 The streak of bright colors continues inside the 2-bedroom, 2.5-bathroom brownstone, where Barnett, an artist and textile designer, painted rooms in shades ranging from Creamsicle to mint. 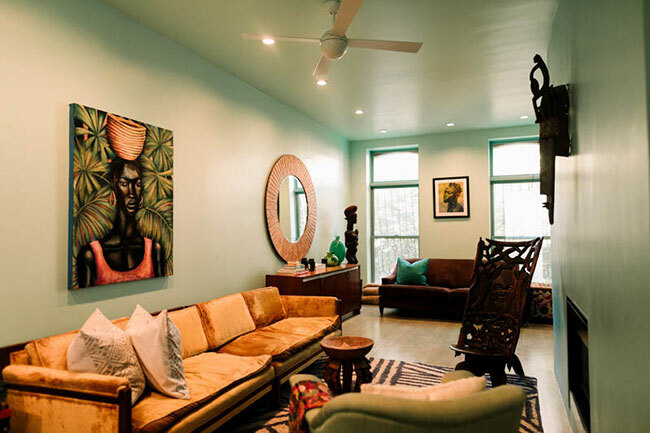 Each room is inspired by her Caribbean roots. Barnett’s mother is from Saint Vincent, and her father grew up in Jamaica. 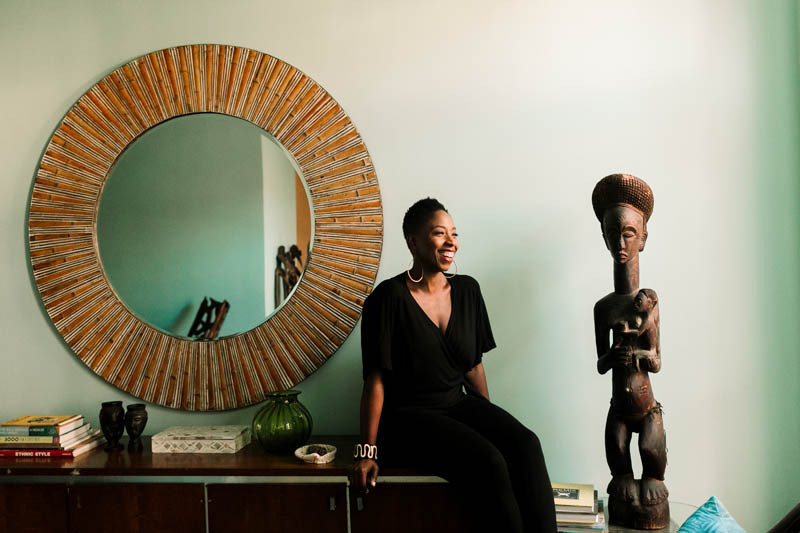 When she bought the home in 2008, Barnett figured she could bring that tropical feeling – quite literally – to her front doorstep. The muted blue-green kitchen is a favorite spot for Barnett, who often unwinds by entertaining friends in the open space. 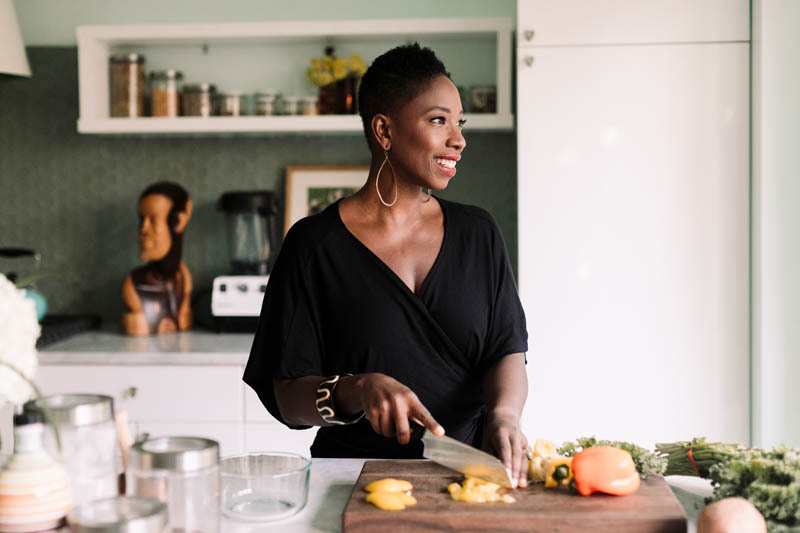 She added a sea-glass tile backsplash to the wall behind the stove, where you might find her cooking up a favorite vegetarian dish, like sweet potato and kale soup. 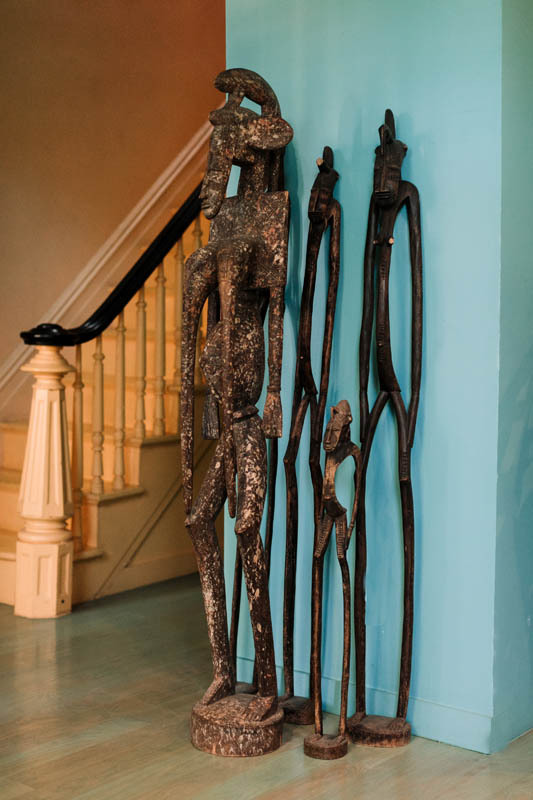 The nearby living room is a brighter, but complementary shade of aquamarine that serves as a backdrop for the art and artifacts Barnett picked up in her travels worldwide, from ceramics in Ghana to sculptures in Senegal. 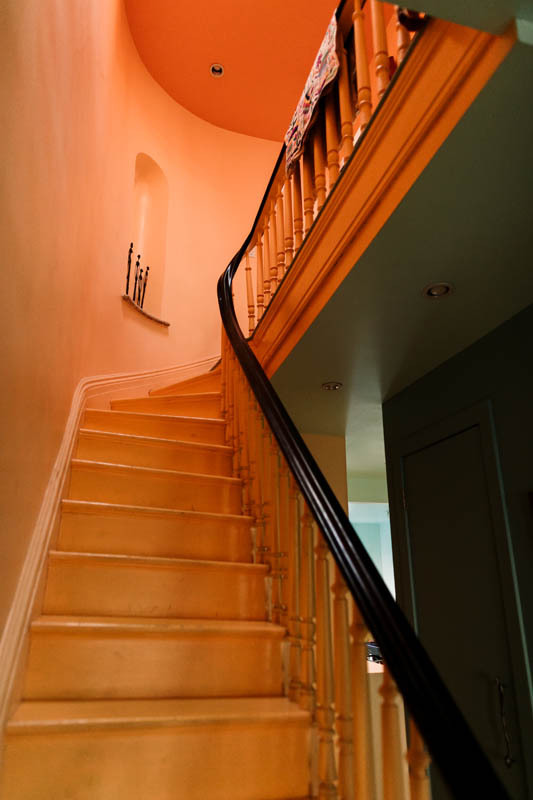 The front entryway is a radiant orange color, accented by a dark wood banister. 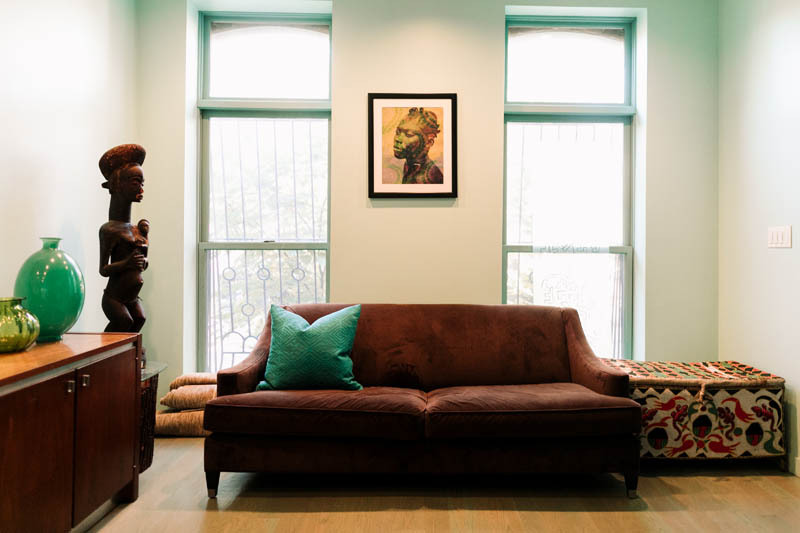 It was the only thing Barnett was able to salvage while doing a complete gut renovation of the 1910 brownstone. 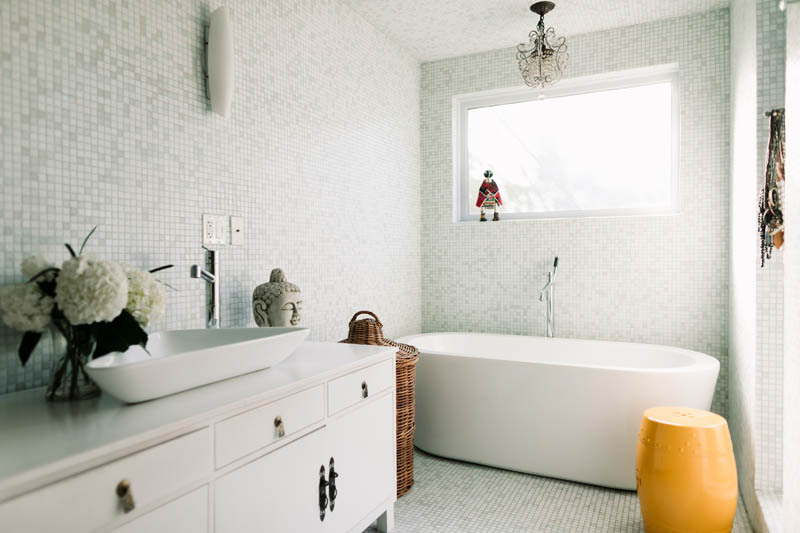 The master bath features mosaic tile on the walls and floors. A large soaking tub is a welcome retreat for Barnett, who has been training for marathons. 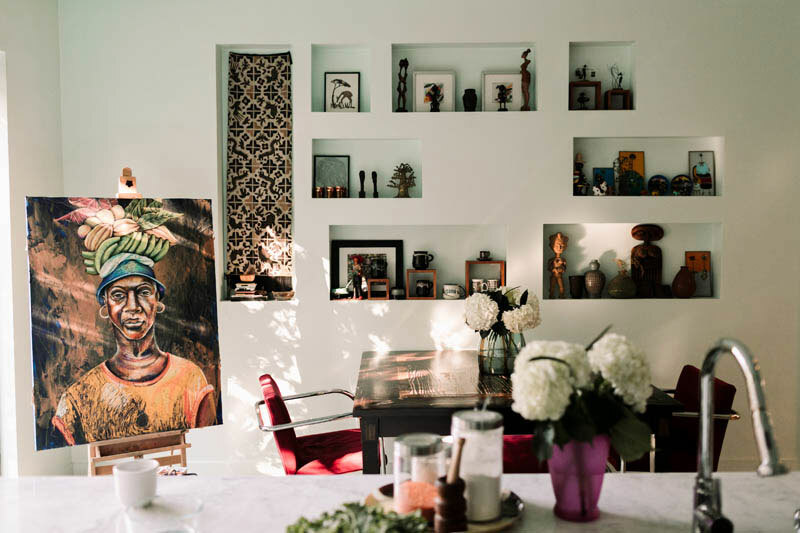 While the designer has called the space home for nearly a decade, she’s constantly adding to it with art from her travels abroad. And, most of all, she’s become an advocate for others taking a risk on buying and renovating a home. Custom photography by Sheena Kim.